Theater lovers can take part in the annual Banned Books Week activities this year by attending “censorship cabarets” comprised of songs and scenes from plays that have been challenged or banned in America. 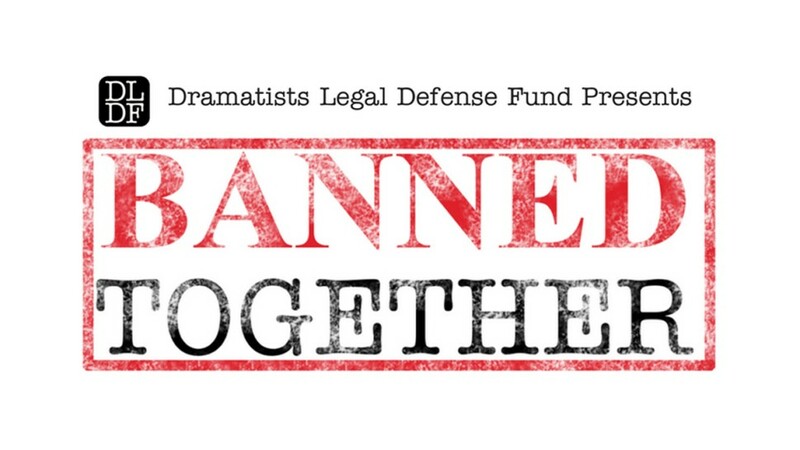 The shows, known as Banned Together were organized by Dramatists Legal Defense Fund and will run September 23 – 29 in 15 cities across the country. Dramatists Legal Defense Fund (DLDF) is a non-profit organization that advocates on behalf of theaters, writers, artists within the dramatic arts, and audiences “confronting censorship, and other related issues of public import, including the diminishment of public domain.” DLDF also strives to educate the public about the importance of free expression, in this case through classic songs and scenes of celebrated works that have faced challenges on the American stage. “The New York component of Banned Together: A Censorship Cabaret will take place at Joe’s Pub September 24 at 7 PM, featuring selections from Cabaret, Chicago, Rent, and Angels in America, as well as Paula Vogel’s recent Broadway play Indecent, and David Adjmi’s headline-making play 3C, which faced a major censorship court battle in 2015. To find more events (or publicize your own event) for Banned Books Week, check out the Banned Books Week Event Calendar! To grab gear for your Banned Books Week event, CBLDF has you covered! Grab bundles of our latest handbook Read Banned Comics, and merchandise to help support the fight for free expression!